Dr. Anna Berry is the Scientific Director of the Personalized Medicine Program at the Swedish Cancer Institute and the Director of Molecular Diagnostics at CellNetix Pathology and Laboratories. She is a graduate of the University of Nebraska Medical Center, and completed her post-graduate training at SUNY Upstate Medical University, the Medical College of Virginia, and the National Cancer Institute. Dr. Berry is Board Certified in Molecular Genetic Pathology, Cytopathology, Anatomic Pathology and Clinical Pathology, and served previously as the Director of Molecular Pathology and the Director of the Molecular Genetic Pathology fellowship training program at UCSF. Her clinical focus is making genomic technologies accessible to patients, and integrating genomic data into patient care. 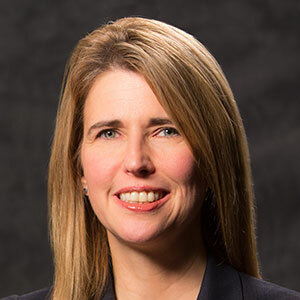 She serves on several national committees, including the Personalized Healthcare Committee of the College of American Pathologists, participates in several national genomics task forces. Dr. Berry has given invited lectures and has taught CME courses at many locations across the country, as well as on-line.